1928. 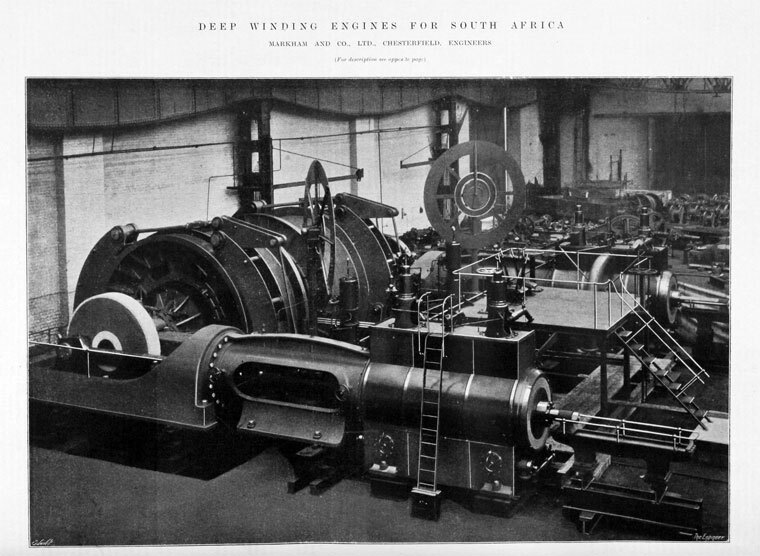 Deep winding engines for South Africa. 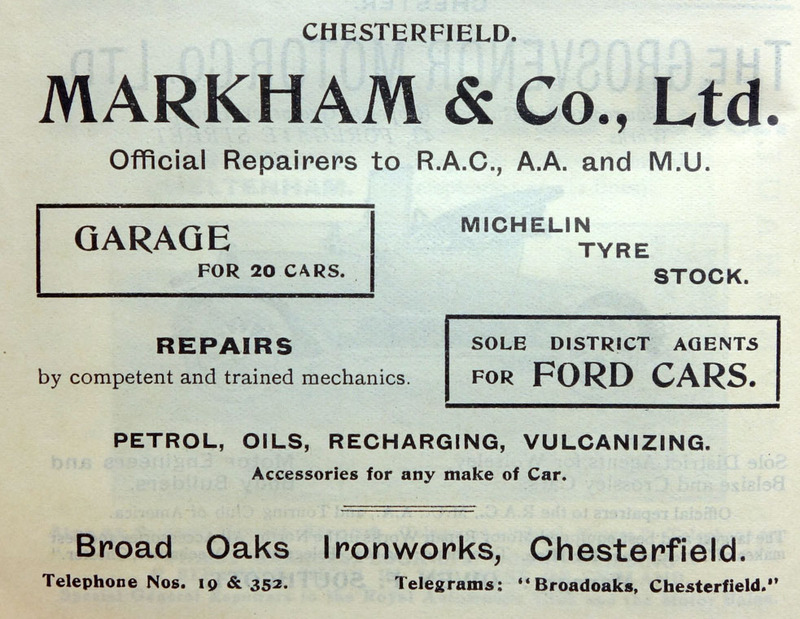 C. Markham and Co of Chesterfield. The company had an interest in a number of quarries and collieries and the Staveley Coal and Iron Co.
1870 Oliver bought the land on which new works were built. 1889 Mr. C. P. Markham purchased the business from Oliver and Co., and the works were increased in size, new buildings erected, and the number of workmen increased. 1890s Built an engine for Park Gate Iron and Steel Co.
1889/1899 Bought Oliver and Co.
1899-1914 Built nineteen locomotives (0-4-0ST) for all but one on a three metre gauge. 1903 Two Horizontal Rotative Engines for The South Essex Water Board (Linford Station). 1912 Made rolling mill engine(s) for Partington Steel and Iron Co.
1921 Installed engine at Park Gate Iron and Steel Co for the roughing mill. 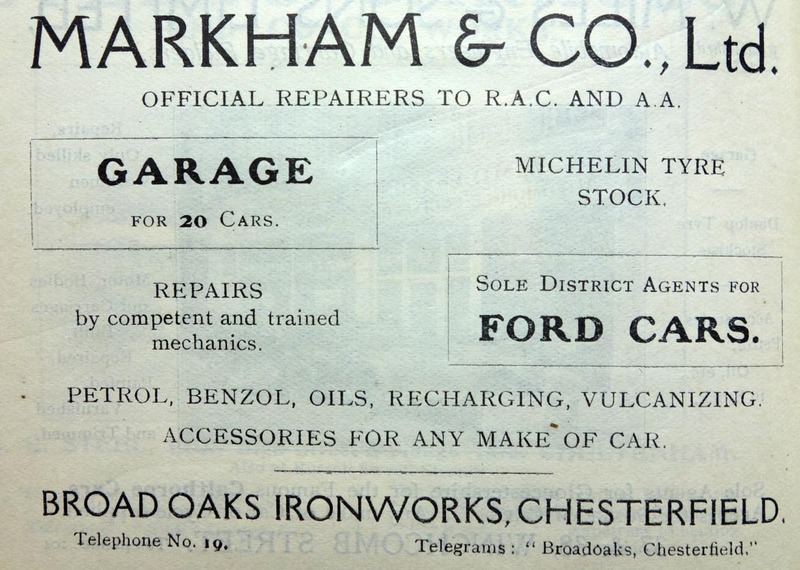 Shortly before Mr. Markham's death, the Company was made over formally to the Staveley Coal and Iron Co., Ltd., which operated the business until 1937. 1937 John Brown and Co acquired the very well equipped engineers Markham and Co to support its shipbuilding. This page was last edited on 18 February 2019, at 15:18.